The European Water Jetting Forum 2019 is an event organized by EWJI in cooperation with the National Water Jetting associations to bring together the industry for an open debate. The event was celebrated on February 20 in Brussels, Belgium, and gathered contractors, manufacturers, associations and other agents related with the water jetting industry. This conference book collects the presentations that took place during the forum to spread knowledge and good practices in water jetting industry. If you are an EWJI member or representative of Public Administrations, contact the EWJI secretariat directly. 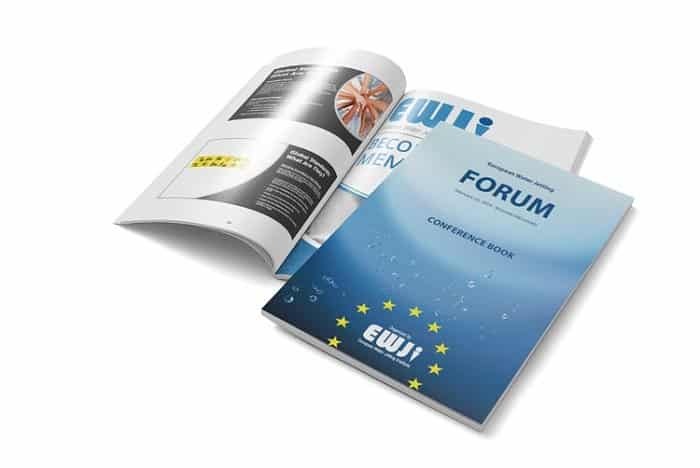 The request for digital publication for EWJI non-members has a price of 25 euros and allows unlimited access to the conference book in online version. Please, read the EWJI Legal Terms Privacy and Refund and Cancellation policy, and check the following box to confirm your approval. When you submit this form an e-mail with your request is generated. You will receive a copy of the e-mail sent. After verifying your payment, we will send you an e-mail with the link.